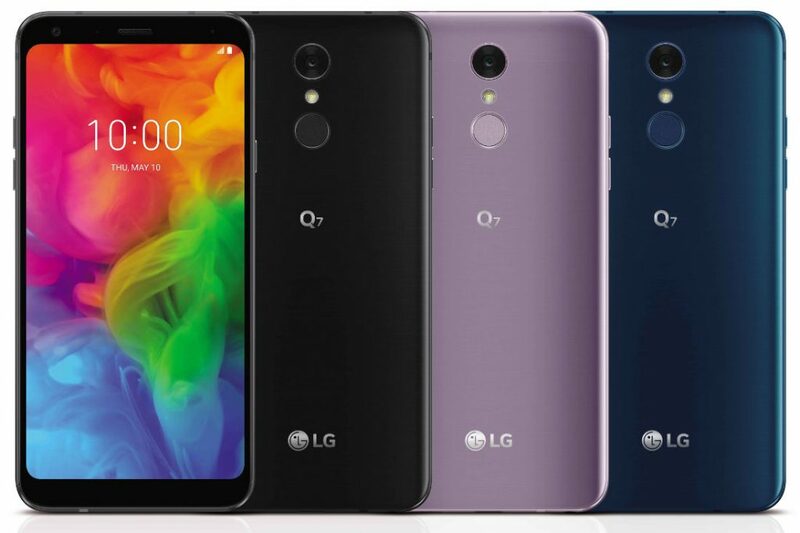 LG has launched Q7, Q7+, and Q7α in the ‘Q series. All three Phones come with 18:9 Display and octa-core processor. LG Q7, Q7+, and Q7α have a 5.5-inch FHD+ FullVision Display powered by a 1.5GHz Octa-core / 1.8 GHz Octa-core SoC. The top-end Q7+ comes with 4GB RAM and 64GB storage, as well as a 16-megapixel rear cameras, while the Q7 and budget Q7α features a 13-megapixel rear camera, 3GB RAM and 32GB storage. In addition to military grade durability with MIL-STD 810G, IP68-certified for water and dust resistance. It also has Portrait mode, QLens, Hi-Fi quality audio, DTS:X 3D Surround Sound, and the top-end Q7+ also comes with Hi-Fi Quad DAC. Packed with a 3000mAh battery with support for Qualcomm’s Fast Charge technology that charge the phone from 0 to 50% in 30 minutes and it also has USB Type-C.
LG Q7 and Q7+ come in Aurora Black, Moroccan Blue and Lavender Violet colors, and the Q7α comes only in Moroccan Blue color. The new Q7 series will roll out starting from Europe from early next month, followed by countries in the Americas and Asia.